Data 101: This Is A SLC And TWHS Down Year, Right - Or Not? So, popular belief is that two of the premiere programs who have been trailblazing the sport in the state are having a down year. 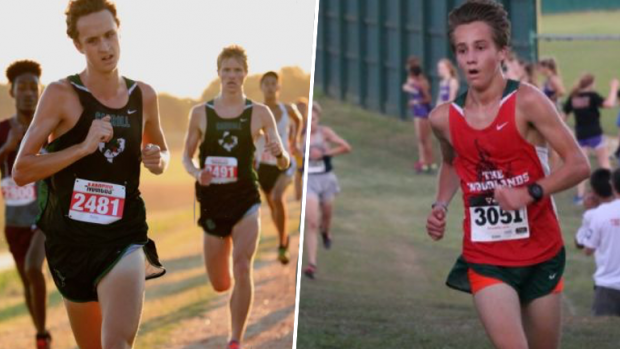 Both the Southlake Carroll (SLC) boys and The Woodlands (TWHS) boys teams are in a little bit of transition years for sure and other teams around the state are sensing that this is the year to take them down. Yes, both programs have graduated many leaders over the years and are moving some less experienced runners up to the varsity level in varsity and leadership positions. The kids at both programs have the tough task of carrying the torch for two of the most storied programs in state history. Even though this is a "rebuilding" year for the programs, does that necessarily mean that it is a down year or that they are "vulnerable"? Although other programs are favored and seem to be stronger....at least to this point of the season, you might not want to count neither SLC nor TWHS program out of a championship run, just yet. There is a saying goes - that even at your worst you are still the best. Is that the case in Texas with these two programs? Check out the data and see why the programs just might not be as bad off as popular belief thinks.